We are the #1 Medical Marijuana online provider in California and we provide medical marijuana online to relieve you of waiting in long lines and having to head to conventional shops. Medical marijuana is of the best medicines, for various diseases. You can order medical marijuana online at Pot Valet and we guarantee your medicine will arrive within 45 minutes or less. Pot Valet takes a courteous and professional approach whiled delivering your medicine to the safety to your home. We offer free delivery to all California locations, so kick back and relax, you won’t have to leave the comfort of your house. Say goodbye to long queues and dealings with shady people. Now you can get medical marijuana from the comfort of your home. Pot Valet’s medical marijuana is certified, which ensures your health benefits are meeting the standards of California. Currently, we are offering our services in Los Angeles, Ventura, Santa Barbara, Goleta and almost all the locations of California. Medical marijuana is a wonderful pain reliever and Pot Valet cherish the ability to help patients receive their medicine. All deliveries of medicine will arrive in 45 minutes or less, as we have the fastest delivery service in California. Medical marijuana and Pot Delivery is a one-stop solution to diseases like: Crohn’s disease, Cancer, Diabetes, Glaucoma, Asthma, Insomnia, Anxiety, HIV Aids, Migraines, Arthritis, Multiple Sclerosis, Appetite malfunction and Aging. 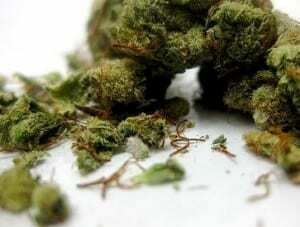 Order marijuana online and avail its amazing benefits. To order medical marijuana, you must have a medical recommendation from a reputed and licensed doctor. Every patient must have a medical recommendation and a valid I.D. Patients with doctor’s prescription can get medical marijuana with ease and comfort. Medical Marijuana Delivery has never been easier, order online and we pride ourselves in providing the fastest and safest delivery in California. To order medical marijuana online, you need to fill out an application form, submit your ID, doctors recommendation and wait for instant approval; uploading your documents is easy with Pot Valet. We offer extremely fast medical marijuana delivery. The medicine has an array of different health benefits, we take pride in offering a medicine with such wonderful ailment properties, in relieving painful diseases.. Medical Marijuana can be consumed by any medical marijuana patient in California in an appropriate quantity. We are proud to offer the best medical marijuana in the industry, for fast and easy delivery. Thx Yukiko and Chris, for the stellar reviews! !